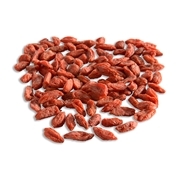 The Wolfberry is a staple in Traditional Chinese Medicine (TCM) and is known as a superfood in the West. Wolfberries are known to improve vision, protect the liver, and boost the immune system. 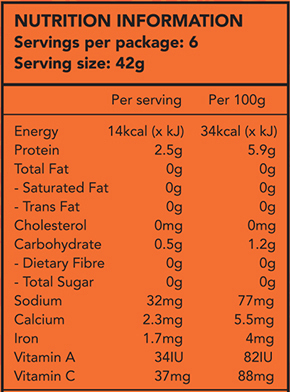 Truly in a league of its own, the Wolfberry contains 18 amino acids, 21 minerals, glyconutrients for cell communication, the highest concentration of protein of any fruit, 15 times the amount of iron found in spinach and more beta-carotene than any other food on earth. Apart from being loaded with vitamin C and richer in carotenoids than any other food, wolfberry also contains a particular polysaccharide which stimulates the secretion of human growth hormone in the pituitary, making this fruit a true anti-aging gift from Mother Nature. 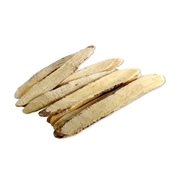 Also known as the Milkvetch Root, Beiqi strengthens resistance and promotes growth of new tissue. As one of the 50 fundamental Chinese herbs that are frequently used in TCM, Beiqi has been used as an essential tonic for more than 2,000 years. It is widely accepted by the West as a common supplement to encourage sleep. Beiqi is used in Power Up! Vision to promote sleep. 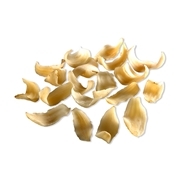 More commonly known as Dried Lily Bulb, this herb has been used for health remedies as far back as second century BC. Baihe is known to alleviate respiratory conditions such as coughs and dryness in the throat. It is also used to treat insomnia with abundance of dreams, inability to concentrate, restlessness and irritability. Baihe has been added to Power Up! Vision to promote better sleep.